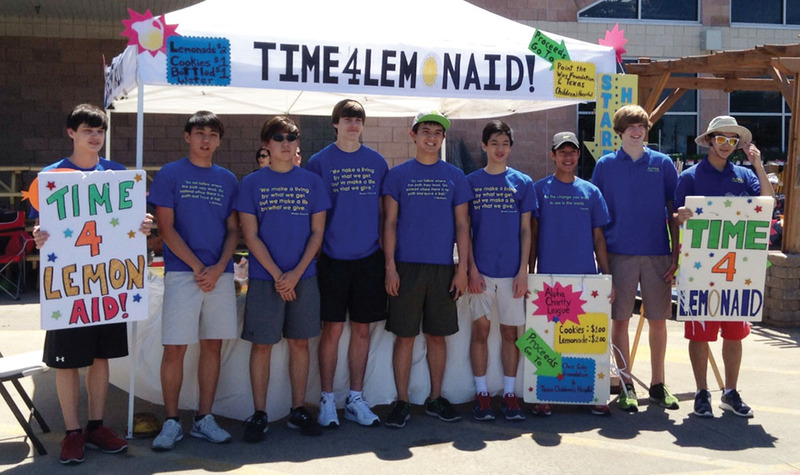 In honor of National Lemonade Day, Jacob Lackey, Peter Park, Justin Ryu, Tate Barnhill, Tucker Reinhardt, James Lo, Anthony Huynh, Trent Herndon and Andrew Su (pictured, from left) served icy cold lemonade at Lowe’s for the Time4LemonAid stand on behalf of Alpha Charity League (ACL) Delta chapter. The hot and sunny day attracted many thirsty customers, and the stand was very successful. They donated all proceeds to Texas Children’s Hospital and the Chris Saiz Point the Way Foundation, which provides scholarships for student athletes.